Hardwood floor restoration and repair seems like an incredibly challenging topic in theory – particularly if you’re not a do-it-yourselfer, and you don’t want to get your hands dirty with real world construction. 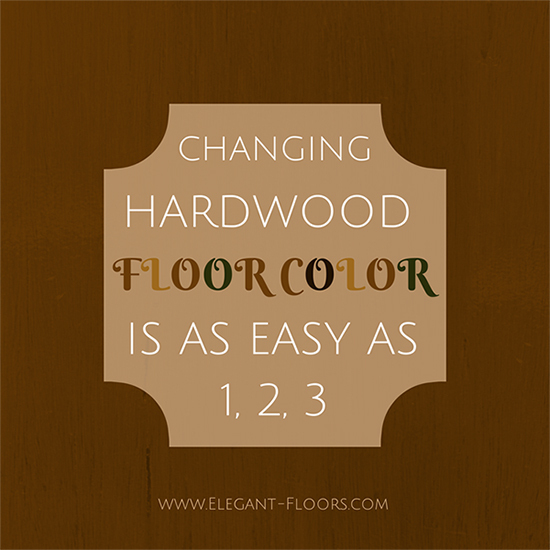 Hardwood floor installation is a complex process, but changing the color of your floors is actually as easy as one, two, three. 1. 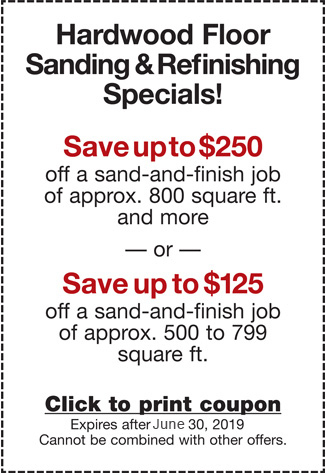 Sand your floors down during preparation. Depending on the nature of your floor, you might need to do multiple passes with different grades of grits – each one finer than the last – to make sure that the floor is smooth enough to accept whatever polyurethane or stain you apply. 2. Lay down the stain. Pick a color, or go au naturel. You can choose from a variety of products, including ebony, golden oak, mid-color products, etc. Remember that every floor has different needs. The color and type of stain you choose, as well as the application process, should depend on the aesthetics you’re trying to achieve, the age of the wood, its grade and the species of wood. 3. Coat the floor with polyurethane. Most people use oil-based polyurethanes. You can choose from among a variety of options, including glossy, matte, and satin. The vast majority (~95%) of people choose satin, since this type of finish tends to show fewer scratches. Should you refinish the floor and get rid of the existing stain or just apply glaze? Glazes can work, but they stay on the surface, and they can wear off over time. When they do weather down, they can leave unseemly lighter patches. Glaze may be the right choice, however, if you have very thin engineered flooring boards, or if you just can’t deal with the sanding for whatever reason (too expensive, not the right equipment, allergic to dust, etc). For unfinished hardwood floors installation or help with any refinishing processes, call the team here at Elegant Floors at 650-991-1339 for a free estimate. We can help you determine which process works best for the floors you have, to get you the floors you’ve always dreamed of!